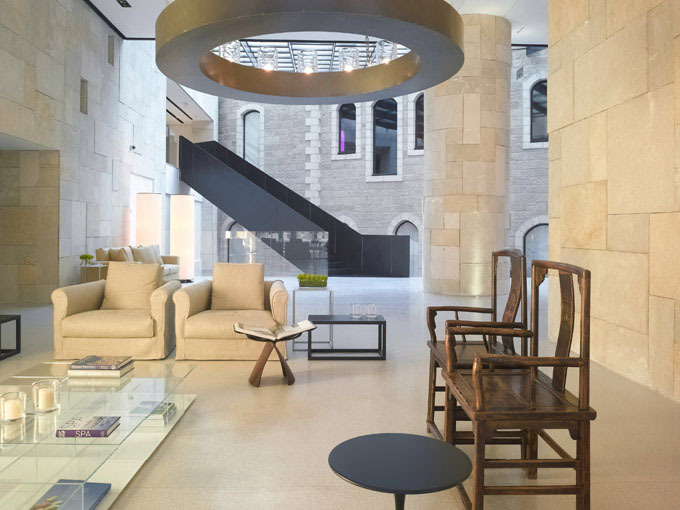 Mamilla Hotel is an intimate and elegant sanctuary with views of the Old City Walls in the heart of Jerusalem, Israel. The exterior architecture by Moshe Safdie uses Jerusalem Stone as required by municipal law to maintain the aesthetic traditions of the city. 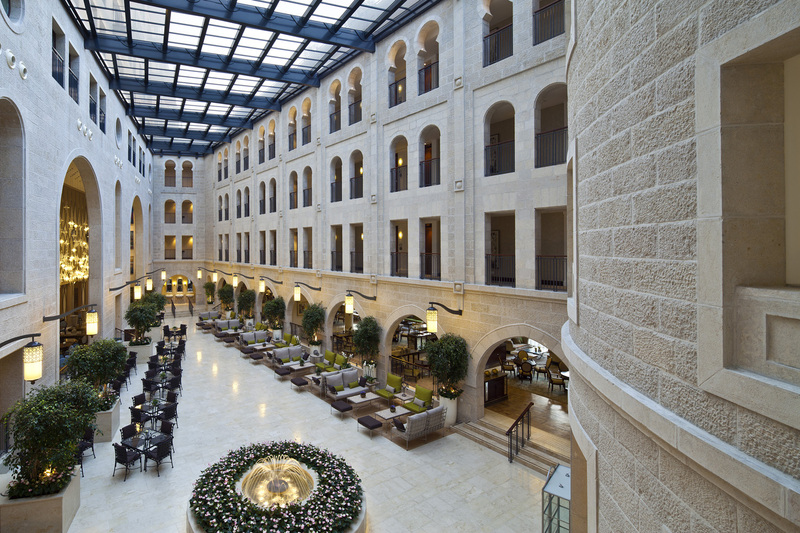 With nearby Alrov Mamilla Avenue and historic buildings, the hotel rises out of the network of alleys which connect the old walled city and the new Jerusalem. The interior design by Piero Lissoni is retro-modern which blends in seamlessly with Safdie’s modern classic architecture.